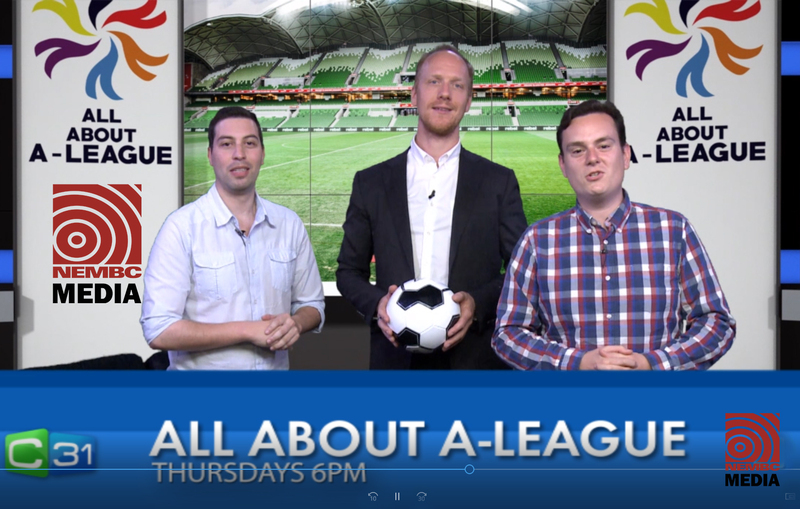 NEMBC » All About the A-League a new Show – produced by multicultural community broadcasters. ‘All About the A-League’ is a new Multicultural Radio & TV Show – produced by multicultural community broadcasters. “Hot on the heels of the successful Multicultural AFL Panel Show, NEMBC is launching a new weekly pilot TV and Radio series All About the A-League” said Fiv Antoniou, the NEMBC’s director of the football programs. “Television and radio productions will cover ten weeks of the remaining A-League season including finals for a total of 26 hours of broadcast content” said Mr Antoniou. The weekly show produced by the NEMBC for Community Television C31 in Melbourne and Geelong, CH44 Adelaide and nationally on Aurora–Foxtel. It will also screen on YouTube with updates on social media platforms. 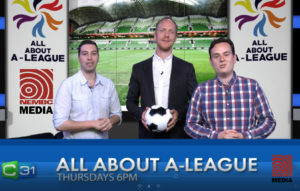 All About A-League will be broadcast on radio across the NEMBC’s 60 community radio stations and also podcast via the Community Radio Satellite Network (CRN). The A-League director, Ms Santina Cotela said: “The Radio and TV programs are available through NEMBC’s social media and website, or on Soundcloud, Whoohska and YouTube, while radio programs can be listened to online at any time by our multicultural communities”. Our expert panel of Multicultural broadcasters love the great game as much as any supporters. They are passionate about Australian soccer from the National team right down to grass roots football. They say it as it is and aren’t frightened to ruffle feathers.